It is a special Angel root from Korea. 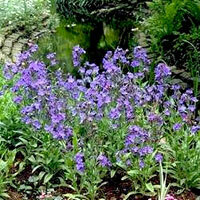 It is a biennial plant with striking purple red stems and flower screens in the same color. Would you keep the plant, collect no seed to save this until next year. It must be sown directly, because it remains just short germ powerful.